Tattoos are a beautiful human expression, but as our lives change sometimes our desires do to. Whatever your reason is for rethinking that ink, Eshaan Medical Spa can assist you in getting the tattoo removal done as efficiently as possible. 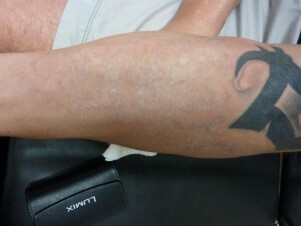 The spa atmosphere and our excellent staff provide the best possible setting for removing your tattoo. Our Cynosure Affinity QS Laser is a high powered Q switched laser that provides treatment for most tattoo’s. Eshaan’s Q-switched lasers are better because they remove the tattoo while minimizing damage to the skin. They work by causing the ink in the skin to “fracture”. These smaller ink particles are then easily removed by the body’s lymphatic system. 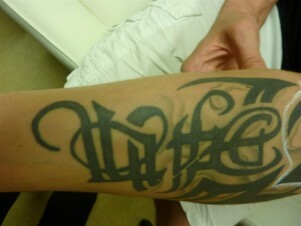 The tattoo is faded gradually with each treatment, so multiple treatments are required. After a consultation with our Aesthetic professionals, you can decide if removing that tattoo is right for you. They will explain the process and make a plan that fits your schedule and budget. Call Eshaan today at 707.455.8210 to learn more about laser tattoo removal.